"We found an accelerated accumulation rate of ice in the uppermost 100 to 300 meters of the polar cap," said Dr. Isaac Smith, a postdoctoral researcher at SwRI and lead author of a paper published in the May 27 issue of Science. "The volume and thickness of ice matches model predictions from the early 2000s. 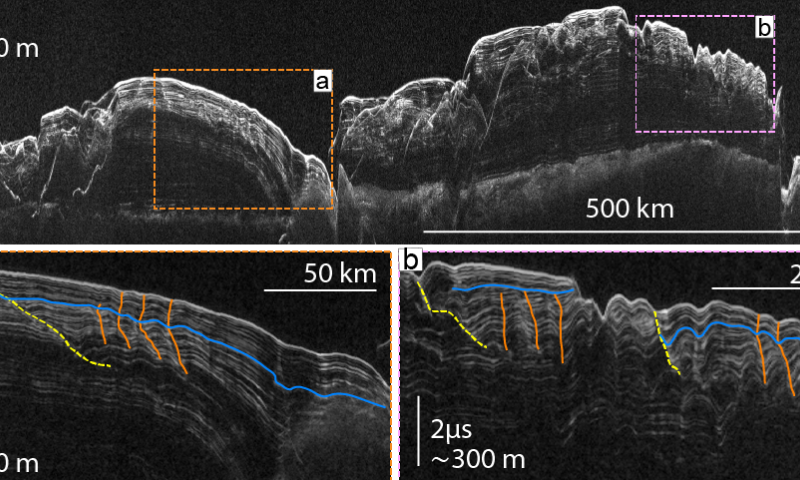 Radar observations of the ice cap provide a detailed history of ice accumulation and erosion associated with climate change." Like Earth, modern-day Mars experiences annual rotation and seasonal cycles, as well as longer cycles, that influence the distribution of ice. However, these longer cycles might be more pronounced on Mars. This is because Mars' tilt changes substantially—by as much as 60 degrees—on timescales of hundreds of thousands to millions of years. By comparison, the Earth's tilt varies by only about 2 degrees over the same period. On Mars, this greater variability determines the amount of sunlight reaching a given spot on the surface and thus the stability of ice at all latitudes. "Because the climate on Mars fluctuates with larger swings in axial tilt, and ice will distribute differently for each swing, Mars would look substantially different in the past than it does now," said Smith. "Furthermore, because Mars has no oceans at present, it represents a simplified 'laboratory' for understanding climate science on Earth." 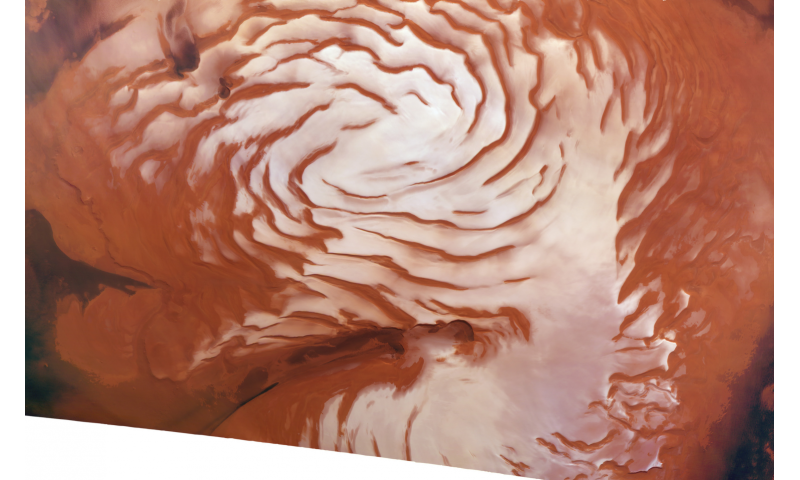 "Studying ice on Mars also is important to the future of human exploration of the Red Planet," said Smith. "Water will be a critical resource for a martian outpost." 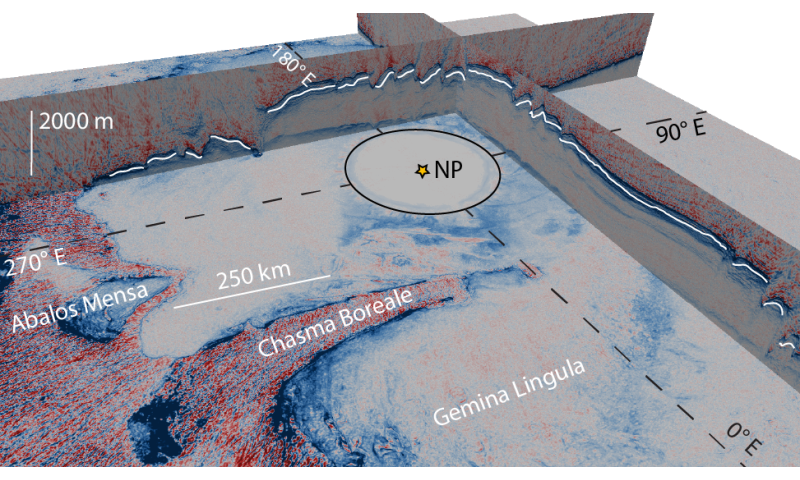 "An ice age recorded in the polar deposits of Mars" is published in Science. This work was funded by NASA's Mars Reconnaissance Orbiter project.